WITH Chinese New Year fast approaching, there’s no better way to herald in the festivities than indulge in Sunway Putra’s Chinese Restaurant specially designed banquet menu. Chinese head chef Foon Peng Loon is the mastermind behind the four banquets which are available until Feb 6. 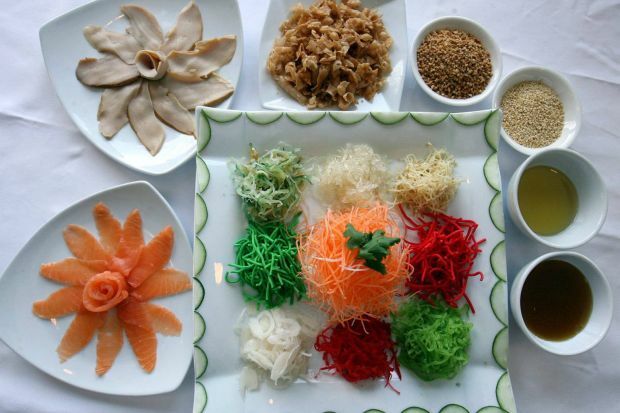 The halal menu features dishes with auspicious names to welcome the Year of the Dragon. Ranging in price from RM888 to RM1,888, each nine-course banquet has something to offer every appetite. The Prosperity All Year Round’ dish is a serving of salmon and abalone tossed high in the air at the beginning of the meal. The menu, which took over two months to create, was conceived by chef Foong and his team. Foong, who began work as a kitchen hand after finishing secondary school over thirty years ago, has worked his way up the ranks. “I was inspired to start cooking by my friends because that is what everyone was doing at the time,” he said. 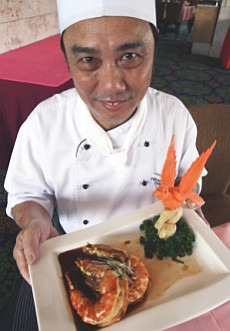 A masterpiece: The ‘Laughter and Happiness’ dish served with king prawns is chef Foong’s favourite dish. The Malaysian-trained chef started in small Chinese restaurants where he learnt the basics of cooking, before moving on to the Tai Thong restaurants and some of the most prestigious hotels in Kuala Lumpur. The Chinese New Year banquet is Foong’s pride. “Each set banquet is titled celebration, goodwill, prosperity and wealth and features traditional Chinese favourites named after auspicious connotations,” says Foong, adding that the waiter will utter the connotation every time a dish is served. 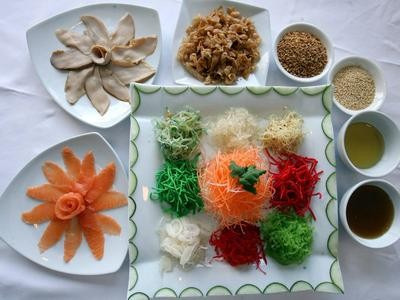 Each banquet starts with the Prosperity Yee Sang dish which is served as a salad with either salmon or abalone. Said to encourage year-round success, health and happiness, diners are encouraged to toss the salad as high as possible in true Chinese tradition. The higher it is tossed, the more success you will have throughout the year. Foong’s personal favourite is the prawn dish “Laughter and Happiness,” adding the dish is best complemented with sticky rice, beer and wine. The Chinese New Year Banquet will be available until Feb 6.